Spoon bracelet made of antique spoons with an elephant center accent. Bracelet is made from upcycled Springtime circa 1957. 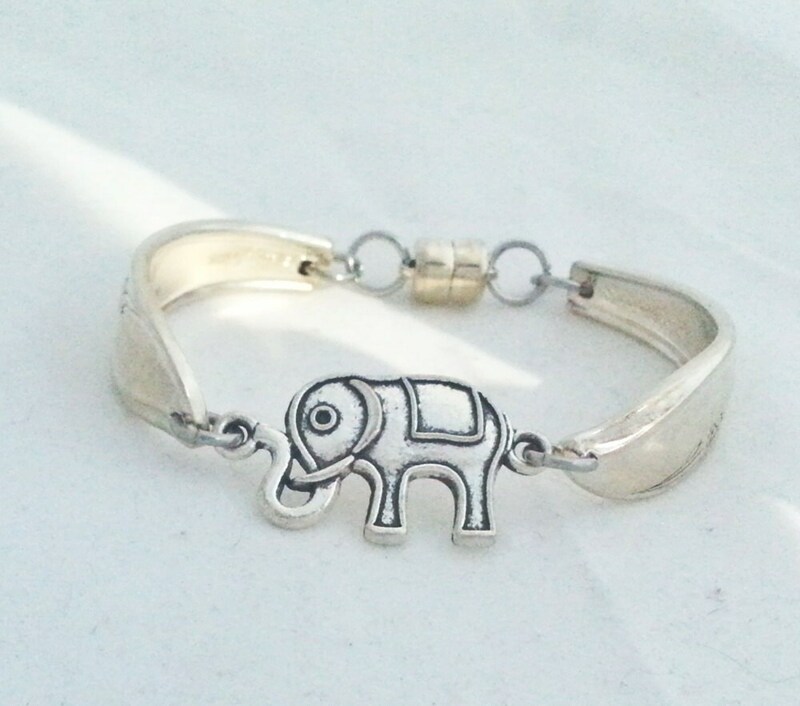 Two handles are fashioned around the wrist with a silver elephant charm connecting the two. Handcrafted in USA and made in medium size to fit 6-7" wrist. Perfect jewelry for the elephant lovers or perhaps your favorite Alabama Roll Tide fan. 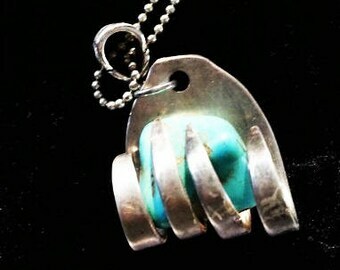 Ready to ship, and offers free shipping and gift box.